First time I’ve tried making my own pendants, which I’ve done with Super Sculpey and metallic wax. 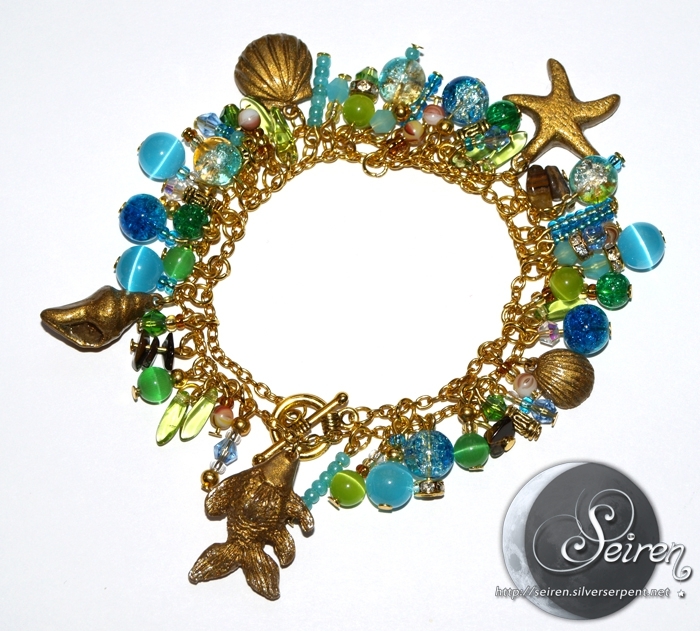 For the bracelet as a whole I wanted a feeling of the ocean, so I’ve mixed glass beads and crystals in differens shades of blue, green, turqoise and sand colors. There are also some pieces of the mineral tiger eye in it. All beads measure between 2.7 and 8 mm in diameter.